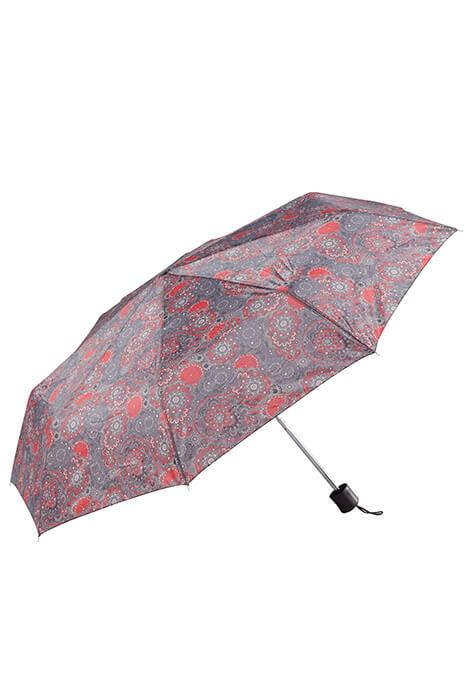 Umbrella opens to 34" dia. 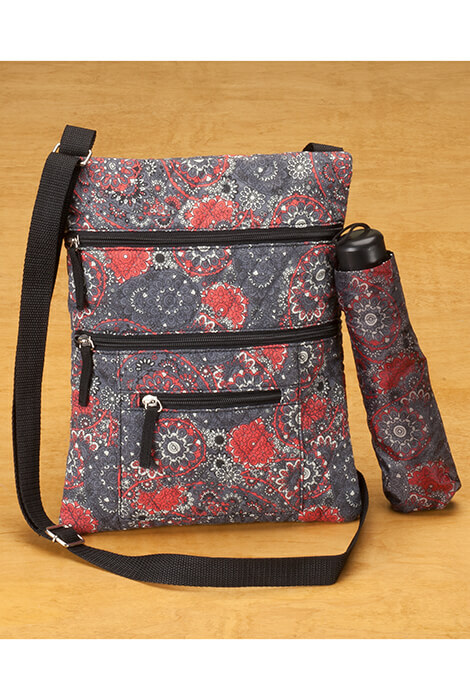 Charming quilted crossbody bag with umbrella keeps you stylishly organized and dry on the go! 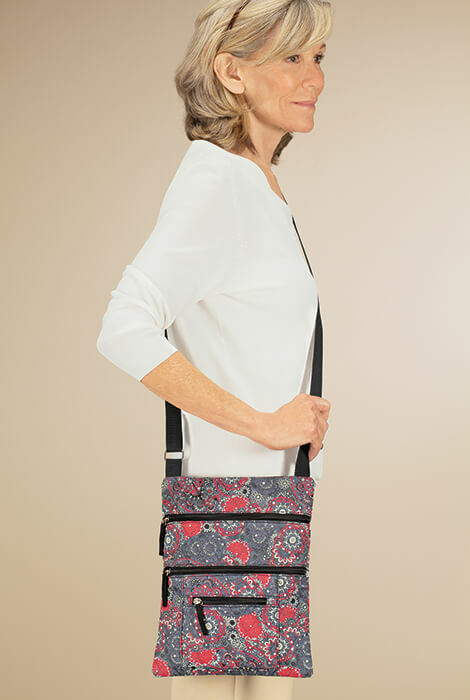 Quilted Bag in a fashionable gray, red and white print features a top-zip main compartment, 3 front zip-close pockets, and an easy-access back pocket perfect for your phone or shopping list. 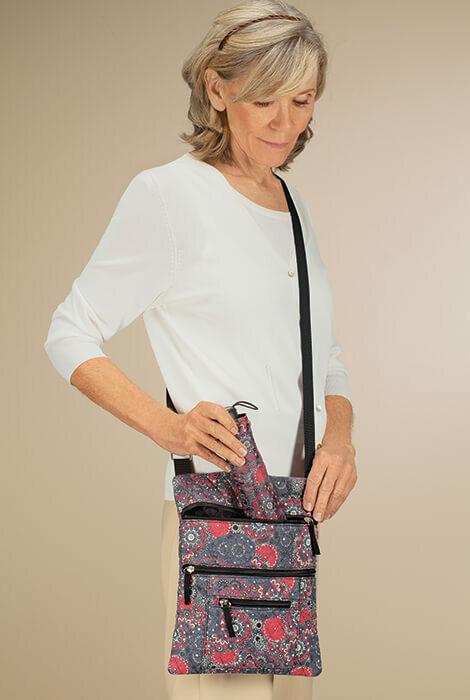 Strap adjusts from 29"–57" for shoulder carry or hands-free crossbody convenience. 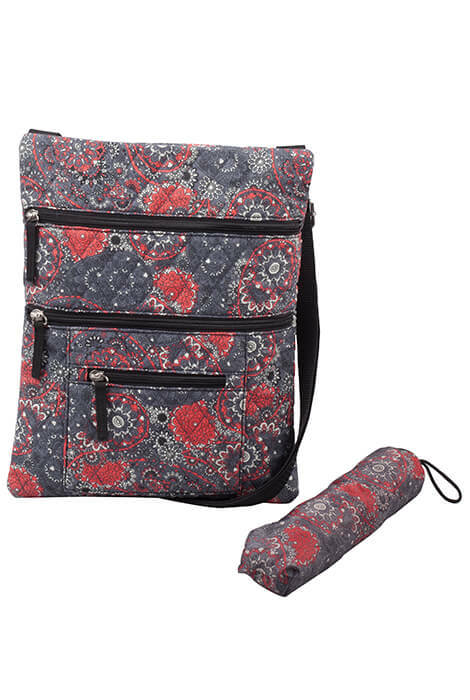 Coordinating umbrella with storage sleeve is just the right size to tuck into the bag's top or front pocket, yet opens to 34" dia. 9 1/2" W x 11 1/2" H. 70% cotton/30% polyester. Spot clean.